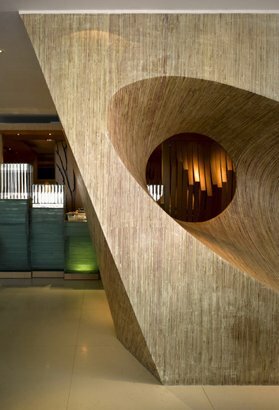 The Hong Kong based CL3 Architects designed the interior of the Nishimura restaurant, located inside the Shangri-La Hotel in Beijing, China. 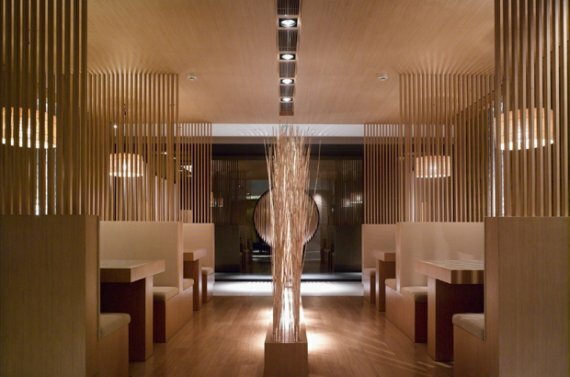 The theme for this Japanese restaurant is the Natural Garden, which is reflected in the local found materials we used: wood, slate, rocks, pebbles, sand, bamboo, water and dried tree branches. 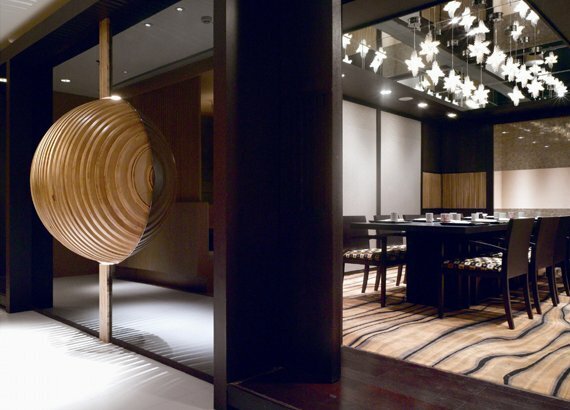 The traditional concept that artwork should be mounted on walls or floor has been challenged here, it has become the very fabric of the interior. 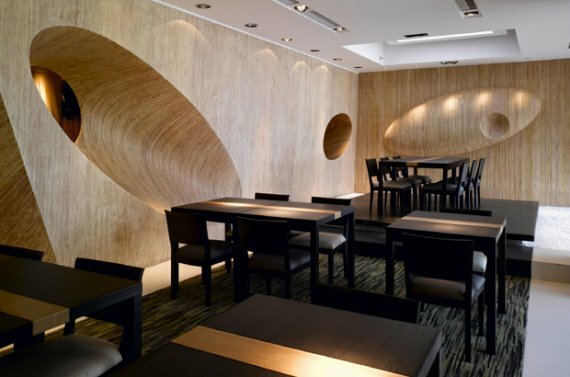 Engineered plywood sheets have been handcrafted into three giant artworks: a giant wooden feature wall made of 1000 plywood sheets, with 2 punctured ovals, created by hand tooling the plywood sheets into shape; a large semi-sphere created by planes of plywood; a sushi counter with a “wave” form enclosure made of bent plywood. Visit the CL3 Architects website – here.